Reem is inspired by nature&rsquo;s palette, it embraces its indigenous landscape of texture and colours. The floriculture of Desert pervades the Reem Community that is been tempered with whispering water features and verdant alcoves. It is summarised as Come home to an Oasis, Come home to Reem. Reem is an exclusive gated community which is located in such a unique position that it enjoys of being away from the pace of city life but still it is located centrally. The site of Reem Community is strategically located just beyond the Sheikh Zayed Road, one of the busiest streets of Dubai; and at the crossroads of Al Qudra and Dubai Bypass Road. It also has an easy access to quick connection to Abu Dhabi in the west, Dubai city centre in the north and Sharjah and North Emirates to the east. The community Reem is a minutes away from Dubai&rsquo;s corporate and commercial centres. 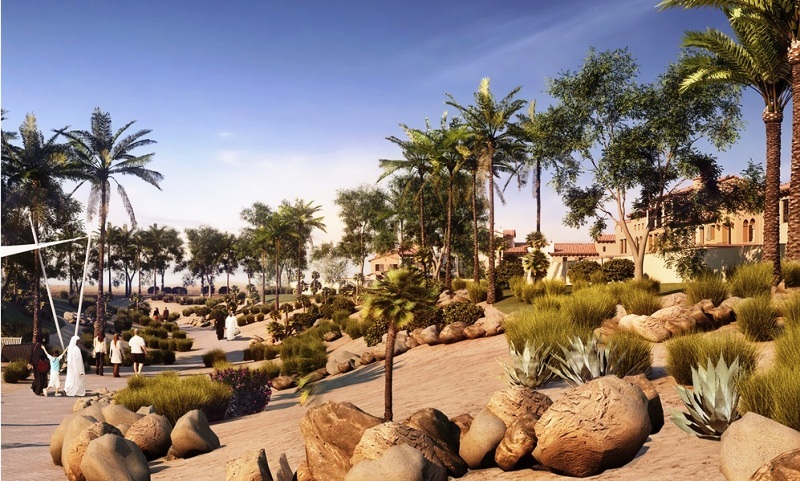 It also is stood in the neighbourhood of Arabian Ranches the 18 golf course. Reem is surrounded by rich Arabian equine heritage and it watches the riders train their horses at the Dubai Polo &amp; Equestrian Club. It has the most family friendly and exciting feature that is the impeccable laid out cycle track that begins at the doorstep of Reem Community.